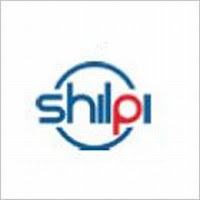 Shilpi Cable Technologies’ initial public offering (IPO) has been subscribed 3.48 times on its closing day. The issue opened on March 22, 2011. The price band for the issue has been fixed at Rs 65 - 69 per equity share. The company is likely to raise around Rs 55.88 crore through the issue at the upper level of price band. It has received 29949295 bids against the issue size of 8596492 shares, 15941094 bids have been received at the cut off price, as per the NSE-BSE demand graph available on NSE website at 17.00 pm.